Transaxial FLAIR MR images show raw data images from the initial imaging, a Cardiolite (technetium Tc99m sestamibi) exam,demonstrated a subtle region of abnormally increased activity in the left breast (Figure 1). 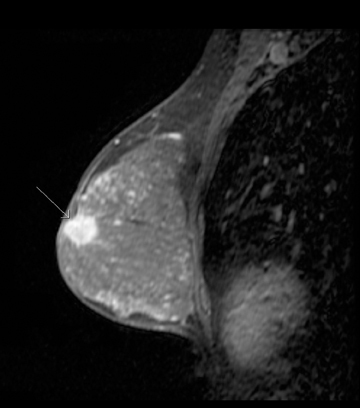 Diagnostic mammogram, including MLO and CC views (Figure 2), showed dense breast tissue. 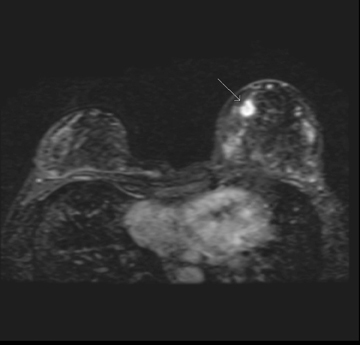 Within the subareolar aspect of the left breast was a faintly visualized spiculated mass with associated pleomorphic calcifications. 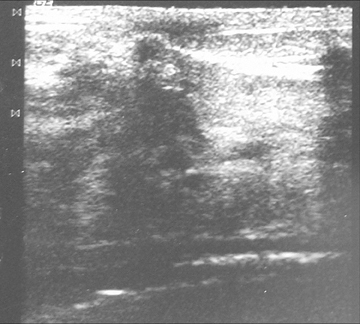 Diagnostic breast ultrasound imaging performed on the same date showed an 8 × 9 mm hypoechoic shadowing mass in the subareolar aspect of the left breast (Figure 3). This lesion was subsequently biopsied under ultrasound guidance and revealed intermediate grade ductal carcinoma in situ (DCIS) and an associated area of infiltrating carcinoma. A subsequent MRI of the bilateral breasts was then performed and demonstrated two areas of concern. 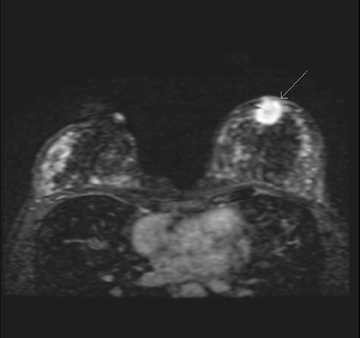 The first area of concern was the pathologically proven infiltrating ductal carcinoma site, located in the subareolar region of the left breast. 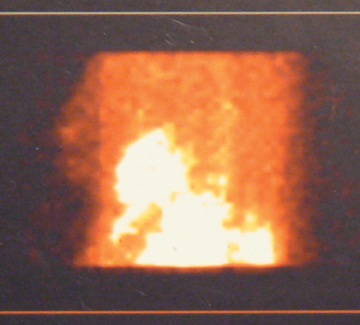 This spiculated mass measured 1.9 cm × 2.0 cm on contrast-enhanced images and had a component of reactive and/or inflammatory changes related to recent needle biopsy. 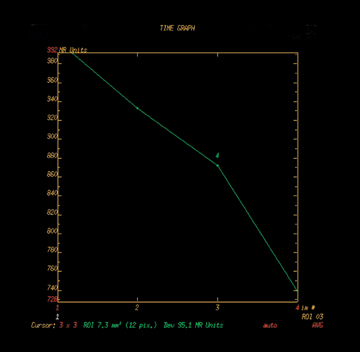 The dynamic enhancement curve was of a washout type, consistent with known malignancy (Figure 4). 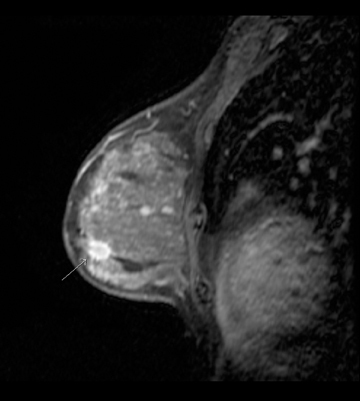 A second spiculated mass was seen in the inferiomedial left breast, away from the first lesion and the previous biopsy site. The appearance and enhancement curve suggested a second area of neoplasia (Figure 5). A second ultrasound-directed biopsy of the lesion found by MRI in the inferiomedial left breast also showed infiltrating ductal carcinoma. Subsequent bilateral modified radical mastectomies were performed. 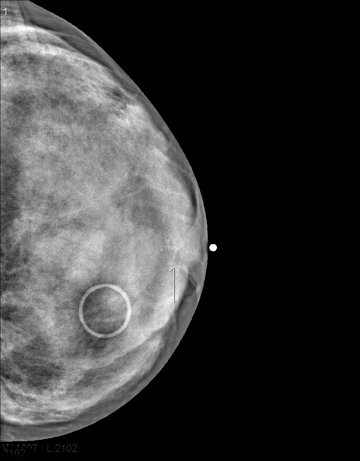 A 1.9 cm × 2.1 cm subareolar and a 1.0 cm × 1.2 cm inferiomedial left breast cancer were confirmed status post mastectomy. Three of 7 lymph nodes were positive for malignancy with infiltrating ductal cancer. In this environment of increased MPI imaging, the likelihood of scanning asymptomatic breast disease increases. Even without optimizing the nuclear scan to evaluate breast pathology, this case reminds physicians interpreting MPI with sestamibi to be vigilant in evaluating not only the intended cardiac structures but also the surrounding soft tissues, including the breast. The role of scintimammography is currently limited to an adjuvant role in cases of equivocal mammography and breast ultrasound imaging. A growing number of patients undergoing MPI provide an opportunity to identify asymptomatic breast disease. 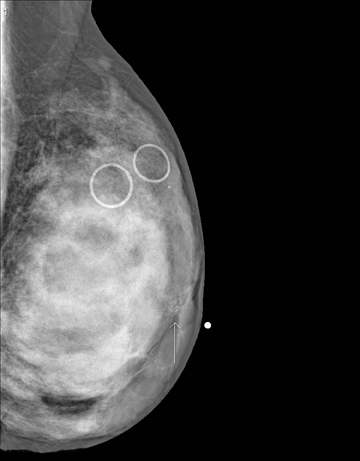 This case highlights the need for reviewing the raw data images carefully for incidental findings, such as significantly increased breast activity, which may be the first indication of disease. Levin DC, Parker L, Intenzo CM, et al. Recent rapid increase in utilization of radionuclide myocardial perfusion imaging and related procedures: 1996-1998 practice patterns. Radiology. 2002;222:144-148. Tolmos J, Cutrone JA, Wang B, et al. Scintimammographic analysis of nonpalpable breast lesions previously identified by conventional mammography. J Natl Cancer Inst. 1998;90:846-849. Yildiz A, Colak T, Gungor F, et al. Diagnostic value of 99m Tc MIBI scintimammography in patients with breast lesions. Rev Esp Med Nuclear. 2001;20:276-281. Hussain R, Buscombe JR. A meta-analysis of scintimammography: An evidence-based approach to its clinical utility. Nucl Med Commun. 2006;27:589-594. Papantoniou V, Christodoulidou J, Papadaki E, et al. Uptake and washout of 99mTcV-dimercaptosuccinic acid and 99mTc-sestamibi in the assessment of histological type and grade in breast cancer. Nucl Med Commun. 2002;23:461-467. Brem RF, Rapelyea JA, Zisman G, et al. Occult breast cancer: Scintimammography with high resolution breast-specific gamma camera in women at high risk for breast cancer. Radiology. 2005;237:274-280. Multifocal infiltrating ductal carcinoma and high-grade DCIS. 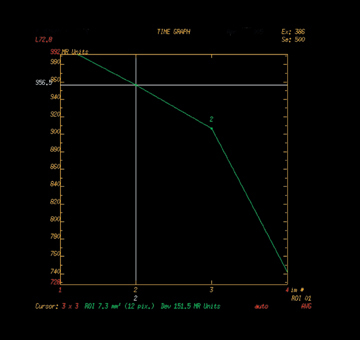 Appl Radiol.